The world is advancing at a breakneck pace on many fronts, especially when it comes to technology, innovation, and modern experience. We’ve gone from largely offline, one-on-one consumer experiences through desktop platforms to highly personalized, contextually relevant mobile and adaptive ones. To keep up with it all, business and organizations are turning to more advanced support platforms in the vein of big data and analytics. Central to these are machine learning and artificial intelligence technologies, which serve as incredibly bright and aware automation tools that can scour and parse incoming data. But deploying big data and AI — or machine learning — collectively is about more than just making sense of data: it’s about putting it to use. Companies can leverage the actionable intel they gain through advanced metrics to build better campaigns, make more informed decisions and even predict customer behavior. In advertising and marketing, for instance, big data and AI can help make ad copy more profitable. By aligning content with the five components of successful copy and automating its delivery, you can ensure it has a widespread and optimal impact. Just to show you a little of the power behind these technologies, we’re going to take a closer look at some companies and brands using such platforms to improve performance and efficiency and deliver better customer experiences. 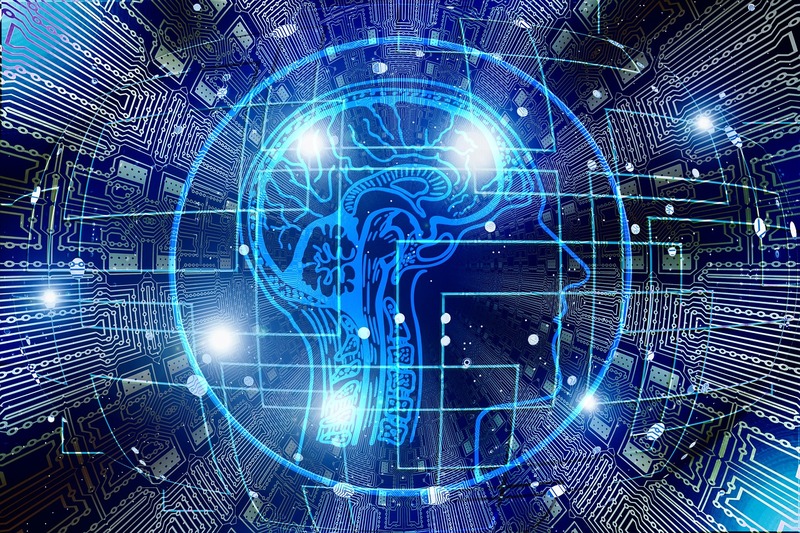 Here are 5 real-world artificial intelligence examples that demonstrate how some of the world’s biggest brands are tapping into AI to boost sales and improve their services and products. The obvious — and often overhyped — examples are Amazon, Walmart, and other major retailers. But such use-cases are low-hanging fruit. The reality is, many brands you might not expect are using AI and big data — like Starbucks, for instance. Personalization is highly valuable to consumers in the modern day and age, as it means faster service, more relevant options, and better all-around experiences. Big data and customer metrics, including real-time information, have made it possible to deliver more targeted service options. Starbucks is at the forefront of this, using their mobile app and vast data stores to display preferred orders to baristas before customers even get to the counter. It also improves performance considerably, speeding up order and service times, especially during the busiest hours. How does it work? Members of the Starbucks rewards program and mobile app often use it to order drinks, call in future orders and take advantage of exclusive benefits. At the same time, the company uses this service to gather a lot of information about their customers’ habits and buying preferences. That is precisely how they can provide preferred order information to baristas. But the company also uses this information to build more relevant marketing campaigns and promotions, decide locations for new stores or potential business and even decide future menu updates. Burberry, a prominent British fashion brand, is also using big data and AI to boost performance, sales and customer satisfaction. Naturally, their customers make use of loyalty and rewards programs through a mobile app. For those actively using such services, Burberry asks them to share data and uses the information they gather to deliver relevant recommendations for both online and in-store products. Most interesting is how this translates into the conventional brick-and-mortar Burberry stores. Sales assistants and company reps have access to company-owned tablets that provide buying suggestions and additional information about select customers. Employees can see a customer’s purchase history, their preferences and even social media activity. They can use this data to provide a more personalized experience, which can help boost sales. For example, let’s say you buy a blouse online. When you visit the store, an employee can see this purchase and recommend matching handbags or accessories. They can even suggest items other consumers have bought alongside the same blouse. Taking this concept of knowledge and digital information in a different direction, all products in Burberry stores have unique RFID tags. When shoppers visit a store, a mobile app experience will communicate with them directly about various goods. They can see where products came from, or even get tips on how to style them. It’s an incredible merger of digital and physical engagement that improves their service and response to customer needs. The world-famous fast-food joint McDonald’s is embracing modern technology in many ways, including using big data and AI. Their updated mobile app allows customers to order and pay almost entirely via their mobile devices. To make the experience that much more enjoyable, they gain access to exclusive deals, too. In return for the convenience, McDonald’s collects essential information about their audience. They can see what foods and services customers order, how often or even whether they visit the drive-thru or go inside. All this data allows for more targeted promotions and offers. In fact, Japanese customers using the company’s mobile app spend an average of 35 percent more because of spot-on recommendations just before they are ready to order food. Spotify is not unlike Netflix in how it uses AI and big data to deliver better playlists and streaming content recommendations to its users. The Discover Weekly feature is an excellent example of this in action. Each week, Spotify offers every user a personalized playlist with music recommendations based on their listening and browsing history. It’s kind of like a curated mixtape from the platform, offering new tracks and artists, showing you new genres you might enjoy or even updating you on your favorite music. This feature is possible thanks to a vast trove of information and data they collect from their user base. When you have millions of people listening to music every day, you gain some pretty deep insights into user habits and preferences. The company has also launched a “Spotify for Artists” app that lets bands and music artists see analytics related to their content. If you’re not familiar with The North Face, they are a prominent clothing vendor that offers both outdoor-friendly and active fashions. They’ve tapped into artificial intelligence and machine learning — thanks to IBM’s Watson — to deliver a highly personalized customer experience, all delivered via a mobile app. Upon download, customers can speak directly to their phone to engage with Watson. The system then works just like a human salesperson, in that it walks them through various questions and shopping experiences and then delivers custom recommendations. The answers you provide during the initial phase and how you react help shape the system’s future interactions with you. For example, one question might be, “What features do you want in your jacket?” Your response will determine the products and goods Watson recommends to you. In many ways, these technologies will improve performance and efficiency for business while simultaneously modernizing experiences for consumers. Just consider the myriad ways in which you can now receive highly personalized and contextually relevant content or recommendations, based on something as simple as your recent purchase history. This information can improve a plethora of business-centric strategies, too, such as marketing and advertising, partner relations and future decisions. It’s hard to believe, but the future we’ve seen portrayed in sci-fi movies — where bots and technology permeate our daily lives — is here. Want to consult an artificial intelligence expert? Get in touch with a freelance scientist here.